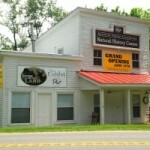 Rockfish Valley Foundation Natural History Center is open every Saturday 10AM to 4 PM and Sunday 1 PM to 4 PM. It features exhibits from the Virginia Museum of Natural History. Exhibits include an array of taxidermied native wildlife. Young visitors will have the chance to experience animal pelts, insects, rocks and other artifacts. Our Spruce Creek Park and six miles of trails in Rockfish River Trail System are open dawn to dusk. Come visit! !